Historic parks and landscapes are regularly viewed as opportunities for one good development idea or another. As landscape architects we must defend historic landscapes. The first step is to ensure that they are recognized as historic by their managing public agencies. We will look at a current threat facing McKinley Park in Sacramento. 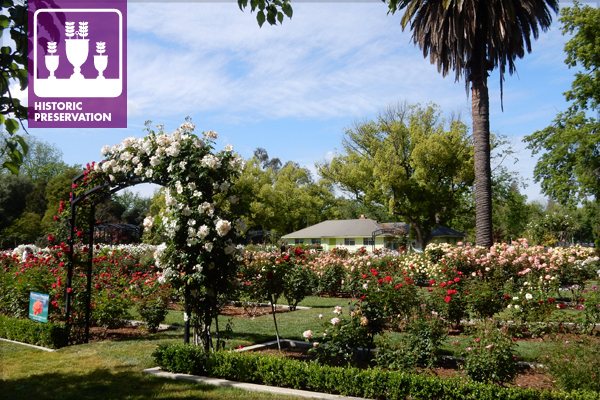 It is California’s second oldest urban park and is under threat by the city that is supposed to be its steward. Is that an old, tired landscape in need of redevelopment, or is that a cultural landscape with historic significance? That would seem to be a simple question, but, as is too often the case, parks, often historic parks, are seen by some as open land waiting for a good idea. Think of the Metropolitan Museum in New York’s Central Park, or the proposed Obama Presidential Center in Chicago’s Jackson Park. While these may be worthwhile institutions, using valuable and historic park lands may not be the best way to manage parks. In Sacramento, California, historic McKinley Park was selected as the best location, not for a cultural institution, but for a sewage holding tank that is more than an acre in area and 40 feet deep. Sacramento is one of only two cities in California that has a combined stormwater and sewage system. That means heavy rains can overload the system and flood, with sewage, various neighborhoods including those around McKinley Park. No doubt this is an important infrastructure project, but why in the park? While the city gave many technical reasons, in reality it came down to being the easiest and cheapest solution. But to do this, the city turned a blind eye to the fact that this park, the city’s oldest, is an important historic resource. At a minimum, the city should have recognized it as such. McKinley Park was created in 1872, making it the second oldest urban park in California, with only San Francisco’s Golden Gate Park being developed a year earlier. The park was originally named East Park and was developed as a recreation destination by the Sacramento street car company as a way to boost ridership, particularly on weekends. In 1902 the park was purchased by the City and the name was changed to honor assassinated President William McKinley. 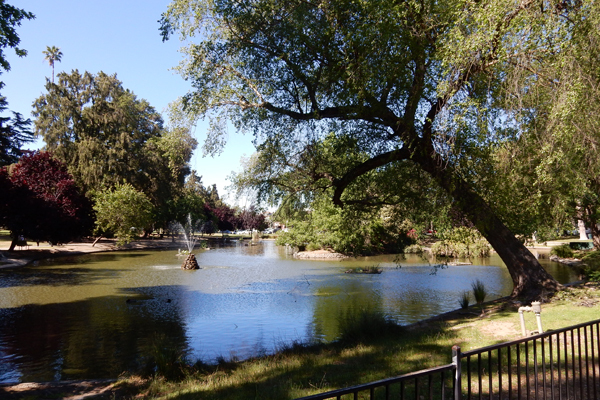 In the first decades of the twentieth century, McKinley Park was Sacramento’s destination park with venues for music and dancing, athletic fields, a pond, a zoo, and other recreational facilities. In 1929 a large rose garden was added and in 1934 there was a major addition to the park including a community auditorium, branch library, and outdoor pool. The city and the neighborhood grew around the park. 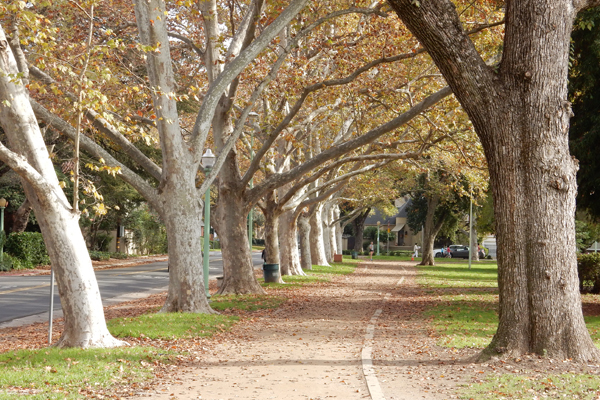 The neighborhood is now characterized by attractive tree-lined streets and many architecturally significant homes. 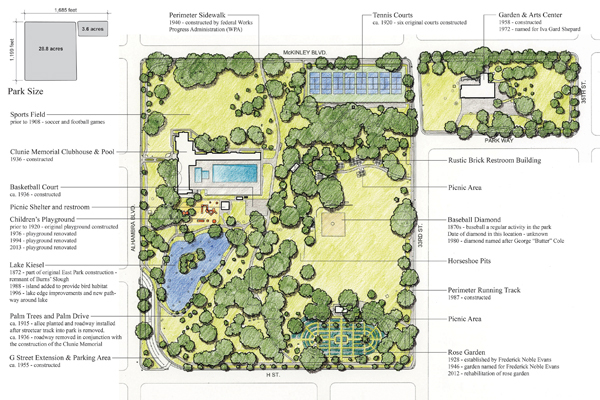 In 2015, a neighborhood benefactor concerned about the historic preservation of the park and neighborhood engaged RHAA Landscape Architects to prepare a cultural landscape report for the park. The report identified the park’s history and significance and determined that the park was worthy of historic preservation and likely eligible for the National Register of Historic Places. Although no original designer was credited with its creation, and there are no historic construction plans of the park, comparison of historic photographs and other documentation clearly show how the historic design is present today in existing features, spaces, and even trees. In technical terms, it was concluded that the park retains historic integrity. For the city’s sewer vault project an environmental impact report was required under the California Environmental Quality Act (CEQA). The report included a review of potential impacts to historic resources, and the City hired a consultant to prepare a cultural resources evaluation. When published in the draft environmental report, the cultural resources evaluation came to the conclusion that “McKinley Park does not appear to meet the criteria for listing in the National Register of Historic Places…because of a lack of integrity,” and it “does not appear to be a historical resource for the purpose of CEQA.” This conclusion was reached seemingly in spite of an excellent review of the park’s history that preceded the report’s conclusion. They had all the facts, roughly the same facts we found in the cultural landscape report, and came to a completely opposite conclusion. Their opinion was based on the fact that there was no famous designer credited with its creation, and there was no original park plan with which to compare today’s park. Without those, they concluded that the park did not have historic integrity. There are many other ways to determine integrity, such as comparing historic photographs with contemporary conditions, which was done in the cultural landscape report leading us to conclude that the park has historic significance and retains a high degree of integrity. With the neighborhood benefactor’s support, we quickly converted the information in the cultural landscape report into a National Register nomination for the park. Public properties can be listed on the National Register without owner/agency consent. The nomination was vetted for completeness and accuracy by the State Office of Historic Preservation, approved by the California Historical Resources Commission, and sent to the National Park Service. McKinley Park was listed on the National Register of Historic Places on October 18, 2018. In addition to the National Register listing, documentation of McKinley Park was also added to the Historic American Landscapes Survey (HALS). While listing on the National Register does not convey any particular protections, it forced the city, through its CEQA documentation process, to finally recognize this historic park as a historic resource. The water vault project is now facing a legal challenge on the adequacy of the CEQA document. If it survives the litigation, the project will likely move forward quickly. We can only hope that the project respects the park’s historic resources and that the park will retain its historic integrity and status on the National Register. At a minimum, a significant portion of the park will be closed to the community for the two-year construction period. If we are to value our historic parks and other historic landscapes, we must ensure that the public agencies charged with their stewardship know and understand them as historic landscapes. Tools for preservation include the National Register, the Historic American Landscapes Survey, and state and local historic designations. This would ideally happen before alterations are proposed. As landscape architects, we must be advocates for these places—and advocate proactively rather than reactively. Once a historic landscape is lost, it is gone forever. Douglas Nelson, ASLA, LEED AP, is a landscape architect and principal with RHAA Landscape Architects in Mill Valley, CA. He specializes in cultural landscapes and projects in national parks.